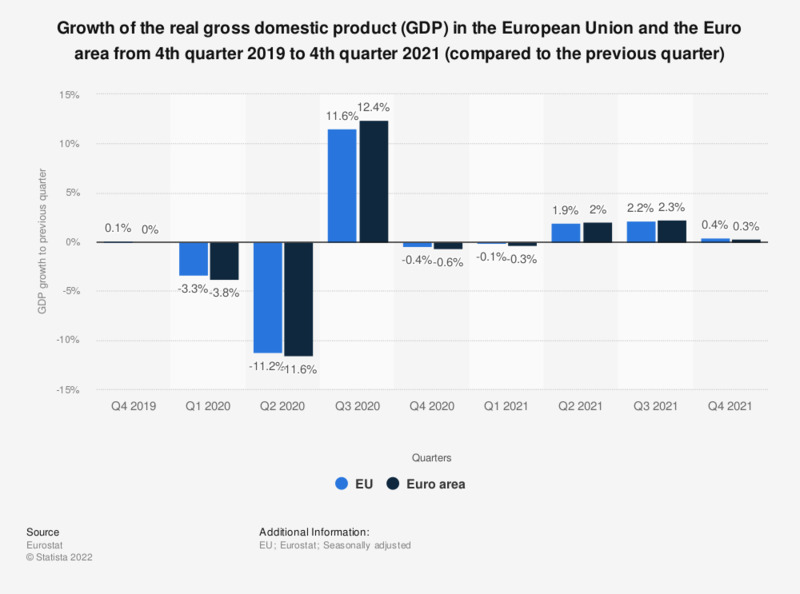 This statistic shows the growth of the real gross domestic product (GDP) in the European Union and the Euro area from the 4th quarter 2016 to 4th quarter 2018, compared to the previous quarter. In the fourth quarter of 2018, the seasonally adjusted real GDP of the Euro area was estimated to increase by 0.2 percent compared to the previous quarter. You know what your rights are as a citizen of the EU - does this statement correspond to your own opinion?